In 2015 Danzer was commissioned to provide the on-site welfare and office accommodation facilities for Network Rail’s prestigious Northern Hub project in a contract worth over £700,000. The 52 units were built to the agreed timescales but due to the numerous project delays and some opposition to the plans only the Bolton phase was initially installed. You can read more about that here. We held the remaining units in storage at our Langley Mill production facility awaiting the signal from the client, Buckingham Construction, to go ahead with the Ashburys phase. After the Government finally gave the green light for the Northern Hub project to continue we were able to release the remaining modules and have this month installed them at Ashburys in East Manchester. The units are end and side linked and sited in a double stack of 13 ground floor units and 13 first floor and will provide office facilities for the construction teams. 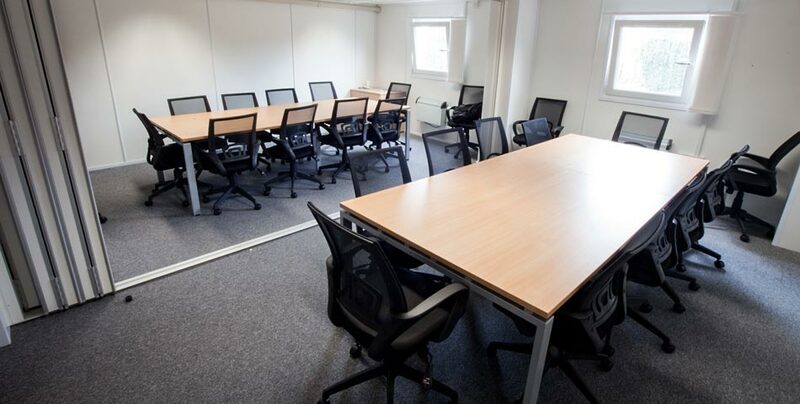 The first floor accommodation provides office space, meeting rooms, a server room, print room and reception area. 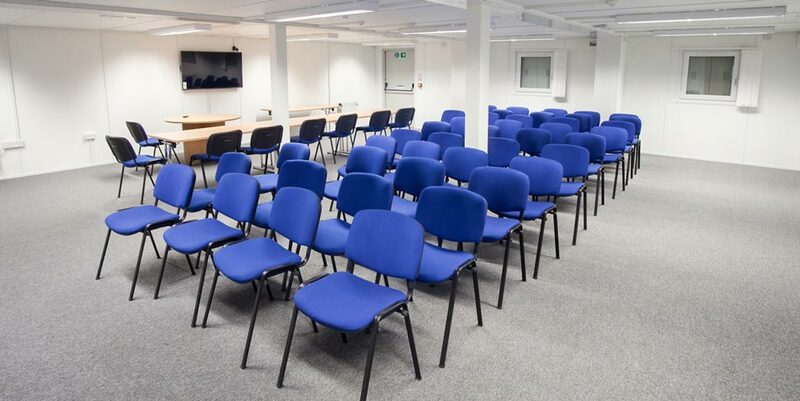 On the ground floor facilities include a canteen, meeting rooms, locker room, kitchen and toilets and washrooms. The units it will be on site for the duration of the Northern Hub project which is likely to take 2 to 3 years to complete. The Northern Hub project is a series of upgrades to the railway across the north of England which will allow hundreds more trains to run each day and provide space for millions more passengers a year.